Our accented shirts are fitting for Queens and Kings. 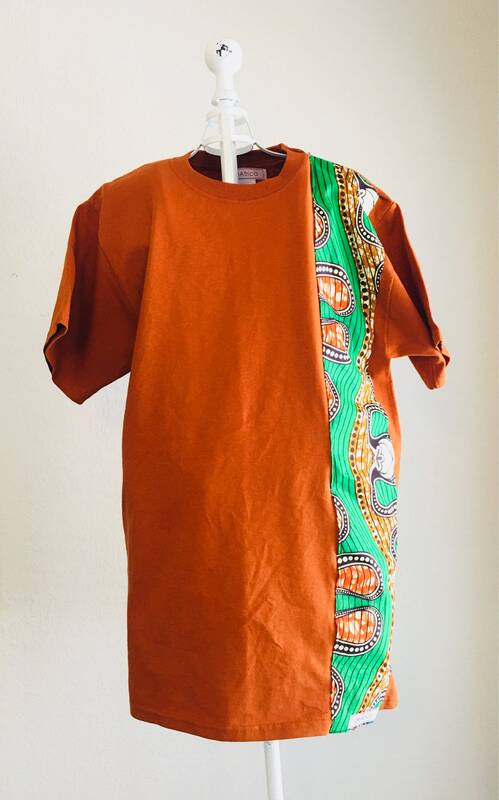 This cotton/polyester blended tee is accented with a vertical Ankara overlay on the left of the chest. Don’t see your size, just ask us. 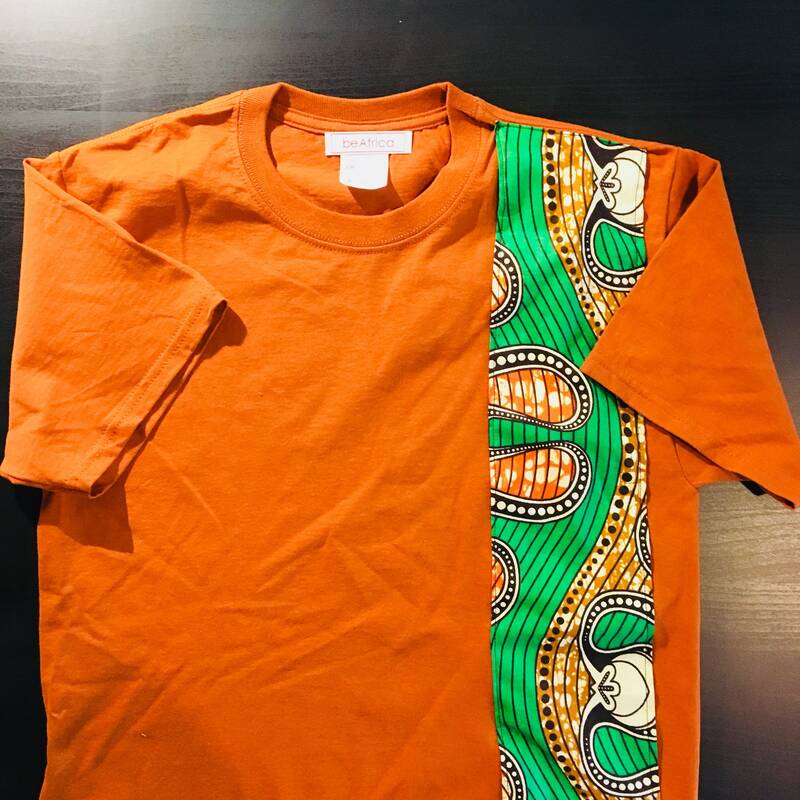 Thank you for shopping beAfrica! Request are taken on a case by case basis. Custom order must be review and uphold the integrity and vision of the beAfrica brand. Discounts do not apply to custom orders. There are no returns on custom request. This order is made for your specifications. Payment must be made within five (5) Business day of listing or invoice. Failure to prompt payment will result in public posting for sale on the sixth (6) day. We DO NOT accept fabric from customers as we carry our own selection chosen for the beAfrican brand. 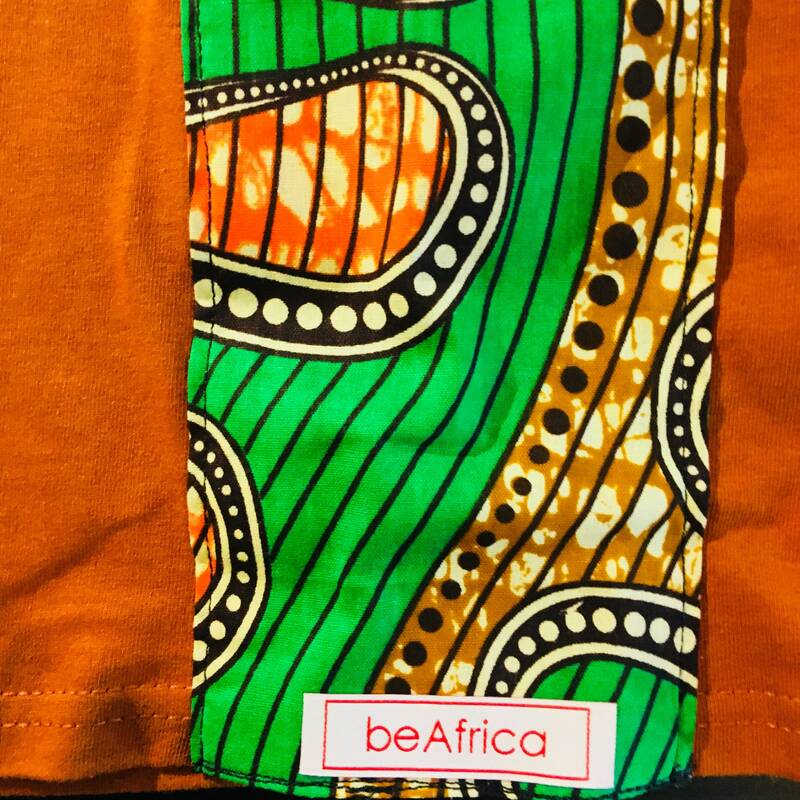 The beAfrica label will apply on all products - no exceptions. 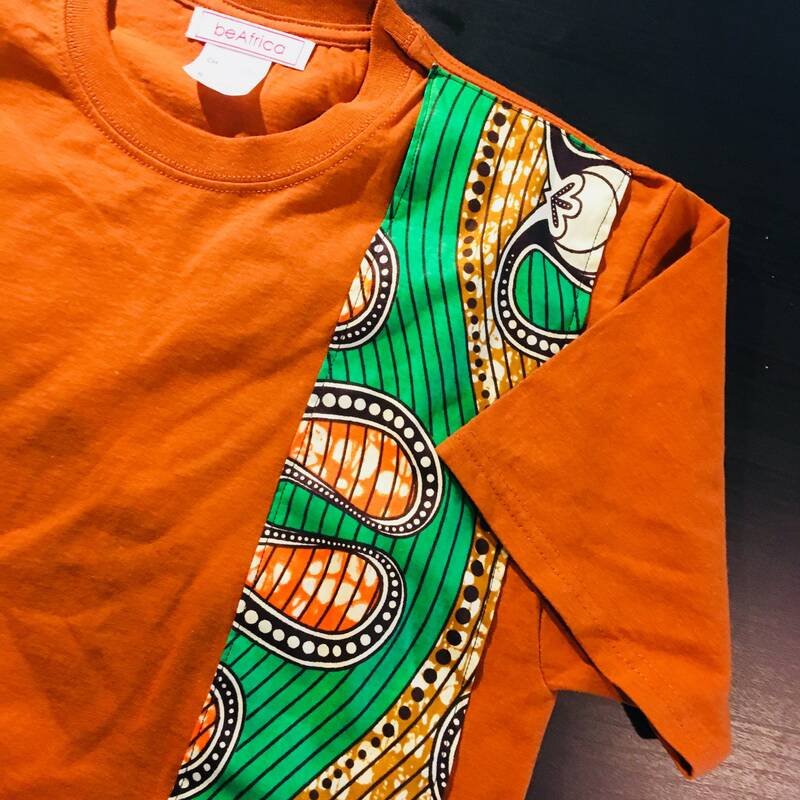 African fabrics are unique and made with quality for lasting life. Wax and dyed fabrics are durable. All products are made in the organic state, meaning the fabric has not been washed to soften the stiffness. We recommend you place your item in the dryer initially on low temperature tumble cycle. Spot clean with warm, soapy water or wash with like colors on cool temperature. Hang dry and iron on low setting for best results. There is a listing available for gift wrapping request. Selecting the “This is a gift” option at checkout will only ensure that your item is shipped with cost information. Leave a note for other request. Our shipping labels are created from the data you provide at checkout. If you have provided the incorrect address initially, our shop will work with you to ensure the second attempt is completed. We will reprocess upon receiving the package back to the shop. Additionally, you will need to pay the additional cost for the second attempt. A listing will be created for the cost.